I lived in Amsterdam for five years, which really helped me forward my research on Alice Guy. I spent a lot of time in film archives all over Europe, from London to Paris to Berlin, Munich, Barcelona, and of course, at the Netherlands Filmmuseum in Amsterdam itself. 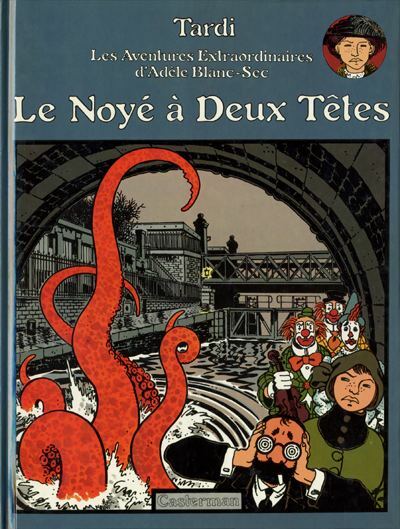 While there I fell in love with a Franco-Belge comic series entitled Les Aventures extraordinaires d'Adèle Blanc-Sec. The brain child of comic book artist Jacques Tardi. The series begins in 1911, when a sect of Parisian demon worshippers are on a spree of human sacrifices. 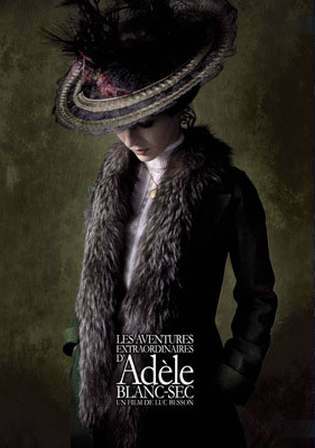 Adèle interferes and eventually defeats the Cult. At the end of the fourth album, Tardi brought back some characters from The Demon of the Ice, tying up most of the loose ends in a bloody massacre, during which Adèle was fatally stabbed in the heart! Fortunately, our heroine was rescued by a young scientist who, with the help of Adèle resurrected Mummy, placed her in hibernation. In an interview, Tardi explained that Adèle "death" was necessitated by the onset of World War I. Her feisty nature made it impossible to provide her with a place in the war. She would not have been allowed to fight, and could no more have settled for being a nurse, than she could have remained home rolling bandages. The French website describing her adventures can be found here. Most of the books have been translated to English. An English website is here. She has her own stamp as well as her own Wikipedia page in English and in French. 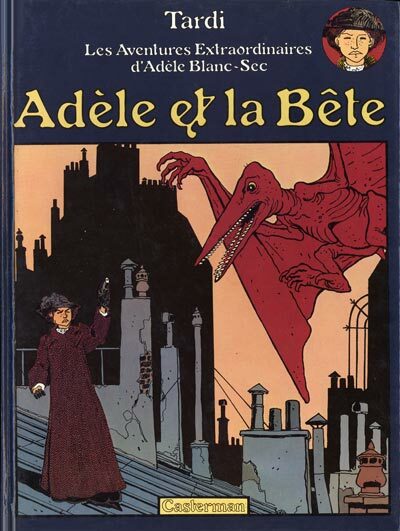 In other words, if Alice Guy had been a steampunk character, she might have been something like Adèle Blanc Sec. It was only a matter of time before someone decided to put her on film, directed by Luc Besson, who is no stranger to directing action heroines, as he has also helmed La Femme Nikita and The Fifth Element fame. Although there has been some debate as to whether this will be a steampunk movie or whether it simply "accurately reflects the period" as the makers of Sherlock Holmes claimed about their film. The website offers a great postcard tour of Belle Époque Paris, which of course was also Alice Guy’s Paris, with images comparing Paris then and now. In other words, both the site, and potentially, the upcoming movie, will be of interest to anyone who loves Alice Guy’s Paris as well as spunky Belle Époque heroines – the kind of heroine Alice Guy had to come to America to be able to make a movie about.